Official GBULLION Blog: Happy Holidays! As the holiday season approaches, we would like to take this opportunity to thank you for your continued partnership and support. 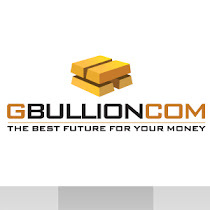 You keep GBULLION successful and we in return would like to manifest you the commitment of improving year by year. We wish you and your families a happy holiday season and a successful incoming year! May it be filled with joy and happiness and live up to your highest expectations! It's different," you said. "You've made, Min, everything different for me. Everything's like coffee you made me try, better than I ever - or the places I didn't even know were right on the street, you know? I'm like this thing I saw when I was little, where a kid hears a noise under his bed and there's a ladder there that's never been there before, and he climbs down and, it's for kids I know, but this song starts playing ..." Your eyes were traveling in the treey light.